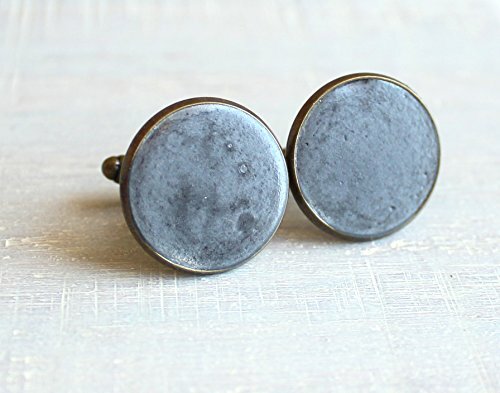 These lovely cufflinks made from charcoal concrete and brass are simple and unique and surprisingly light weight. Cufflinks measure 1 in. (2.54 cm.) across and 0.90 in. (2.286 cm.) long.